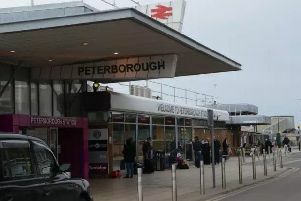 Office rents in Peterborough are predicted to rise this year as companies compete to set up in the best locations. The hike is expected as landlords carry out quality refurbishment of much-needed office space. Commercial agents Savills say Peterborough is poised for an office market revival this year with availabilityincreasing by 100 per cent. The revival will follow three years in which landlords have used Permitted Development Rights (PDR) to convert offices to residential uses. At the start of 2017 just 60,000 sq ft of grade A stock, mostly in Stuart House, in City Road, remained available to let. But as the PDR trend slows and with the lack of speculative development, some landlords have been investing in high quality refurbishments of office space. Savills say this has led to an increase in supply. For example, 60,000 sq ft of grade A accommodation at Lynch Wood Park came to the market late last year. “With zero speculative development on the horizon, we expect rents to rise. Until recently, rents have been seen at about £13 to £15 per sq ft but there are now a number of landlords quoting significantly higher, which is an indication of anticipated demand.